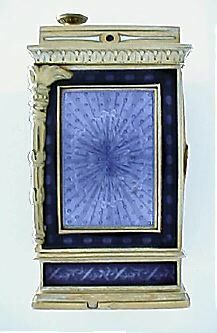 Fine and rare beautiful minute repeating 8-day miniature enamel carriage clock signed Tiffany, Paris. 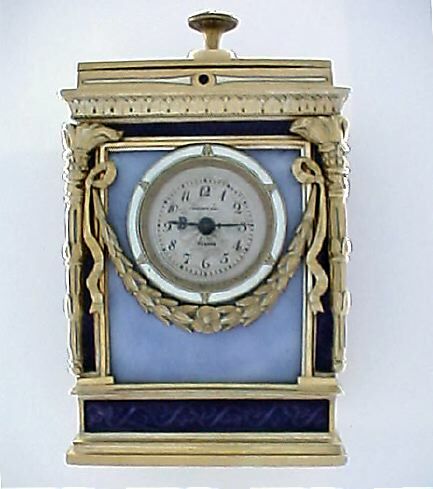 The clock in a rich classical design enameled overall in two shades of purple enamel with white highlights. Signed silver engine turned dial. Jeweled lever platform movement signed Bredillard Nocturne. 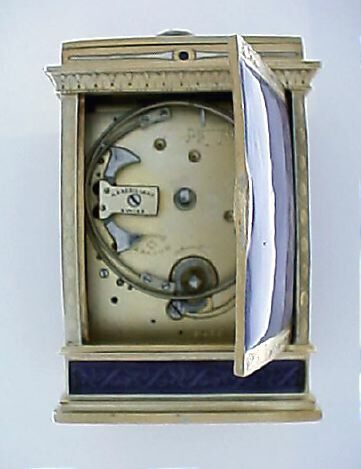 Minute repeating on two gongs activated by a button in the top of the case. A lovely and scarce little clock.